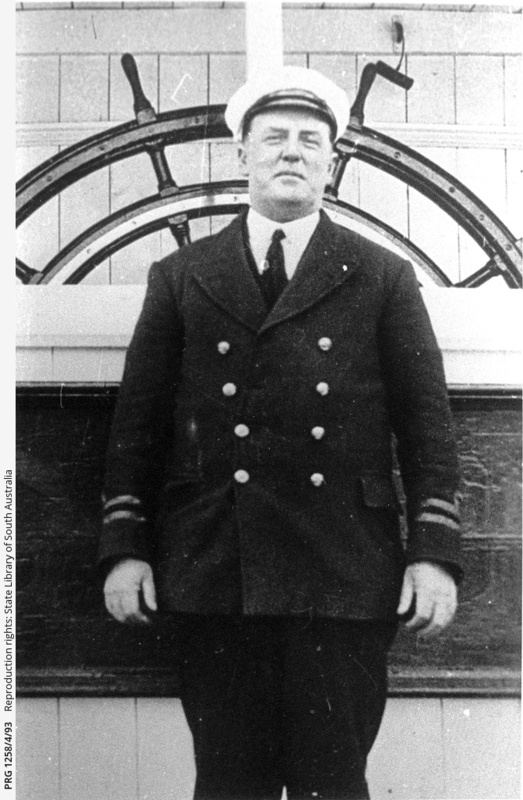 Captain Alexander standing before the wheel of 'P.S. Gem', dressed in formal captains cap, and nautical jacket with brass buttons. This image appears on page 15 of Harry Godson's 'The Marion story', and Captain Alexander is also listed on page 92, serving as Captain in 1914.